In the early 1900s, large chunks of the farm Braamfontein, having been found not to be likely to produce payable quantities of gold, had to be turned to profit. 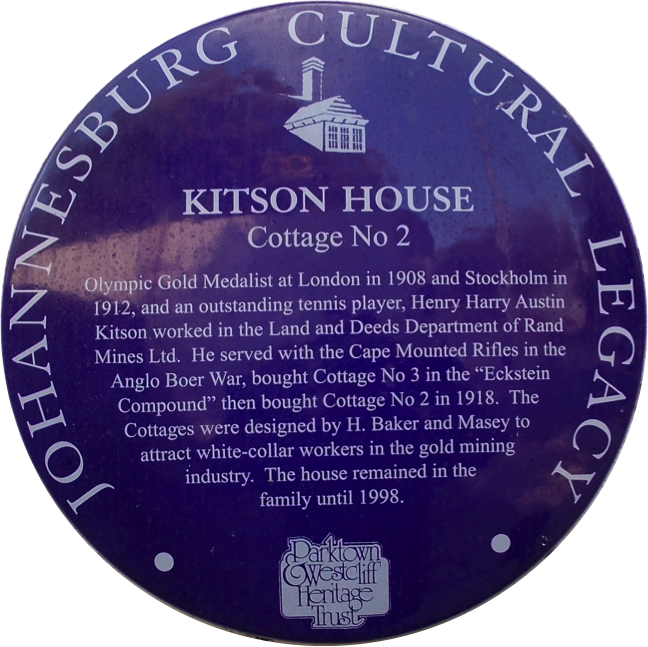 The Braamfontein Company, which owned the land on which Parktown, Westcliff, Parkview and Saxonwold would arise, had noted that the ridge to the north of the town, where Florence & Lionel Philips had built the magnificent Hohenheim, was regarded by the new elite as a most desirable place to build their homes-from-home. But what of the land lying to the west of the old Government Road, now known as Jan Smuts Avenue? The Braamfontein Company turned to a select band of architects – Baker and Harry Clayton among them – to design houses on strategically selected sites on the hillside running down to “The Dell”, today known as Frank Brown Park. This extension of Parktown was divided into mostly erven of about half an acre in extent, but with the exception of two very special blocks, bounded by Frere and Doveton, and Loch and Barkly. Here, much smaller sites were demarcated for cottages for the Company’s middle management, the enclave coming to be known as the Eckstein Compound after the Company’s Chairman, Herman Eckstein. The houses designed by Baker and Clayton would, it was hoped, attract buyers to this new part of the township.